Cactus Wren Trail - Sonoran Preserve is a 1.44 mile one way hike with 114 feet accumulated elevation gain. Located 13 miles west-northwest of Scottsdale Arizona. The trailhead is car accessible. March and November are the best months to enjoy this hike. 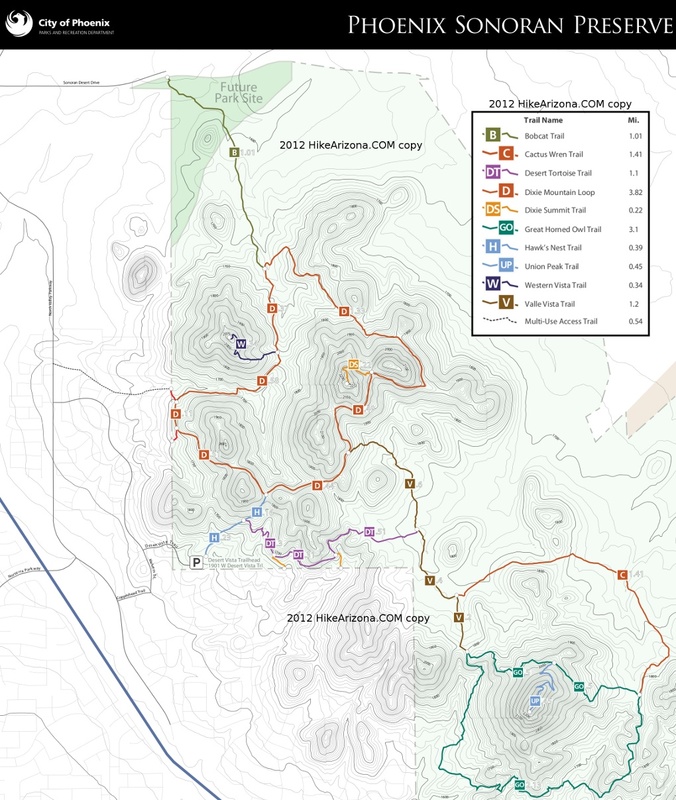 Access to the beginning of this trail is from the Desert Vista Trailhead via Hawk's Nest Trail, Desert Tortoise Trail and then Valle Vista Trail (a total of 1.77 miles to the beginning). 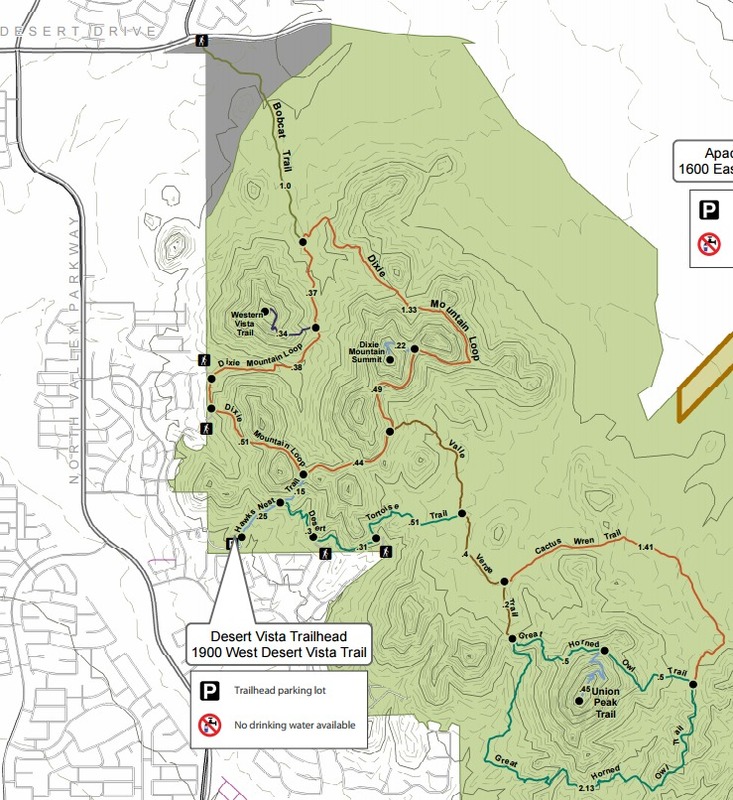 This trail spurs off of the Valle Vista Trail and serves to create a larger, outer loop for the Great Horned Owl Trail. From I-17 and Jomax Rd, take Jomax to it's east end. Turn left on North Valley Pkwy, right on Copperhead Trail, left on Melvern Trail, and right on Desert Vista Trail to go behind the neighborhood community center. Desert Vista dead ends at the trailhead parking lot. Studying a map before you go is recommended as the trailhead is somewhat hidden in the neighborhood.